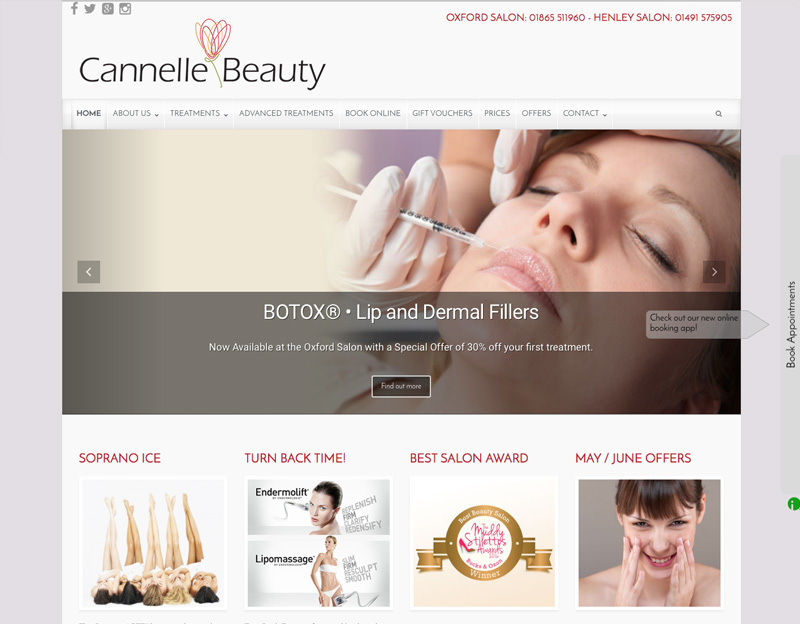 I have worked with Cannelle Beauty in Oxford and Henley for many years. Over the years the site has evolved with current changes in the web. Now we have a mobile friendly wordpress site which they can update and blog within themselves. I update regularly with special offers and new graphics.